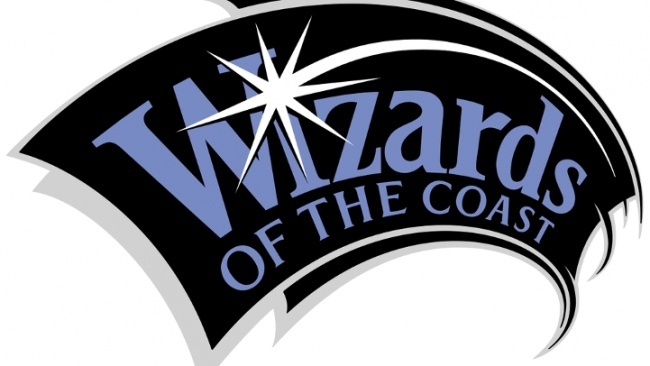 Dungeons & Dragons will return to comics this spring. 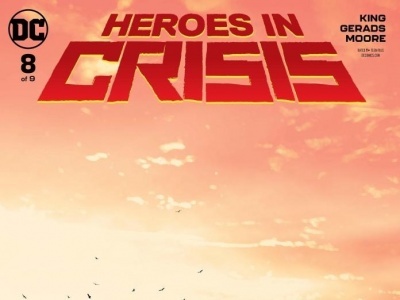 IDW will release a new 5-issue series written by Jim Zub (Samurai Jack, Avengers) and illustrated by a rotating team of artists. 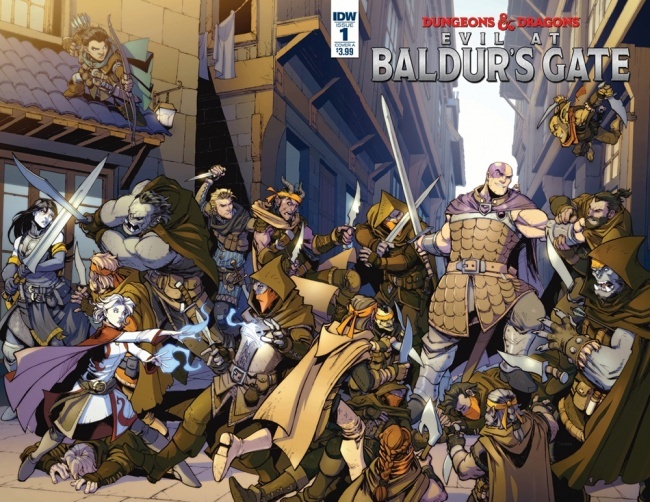 Dungeons & Dragons: Evil at Baldur’s Gate #1 will be in stores in April. 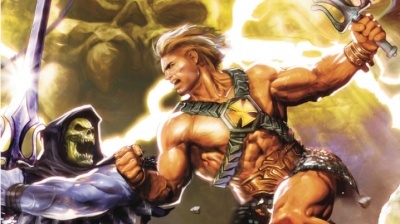 Dean Kotz (Charmed Season 9), Steven Cummings (Wayward), Harvey Tolibao (Green Arrow), Ramon Bachs (X-Men), and Francesco Mortarino (Jupiter’s Circle) will each draw an issue of Evil at Baldur’s Gate. Max Dunbar (Gears of War) will provide covers. 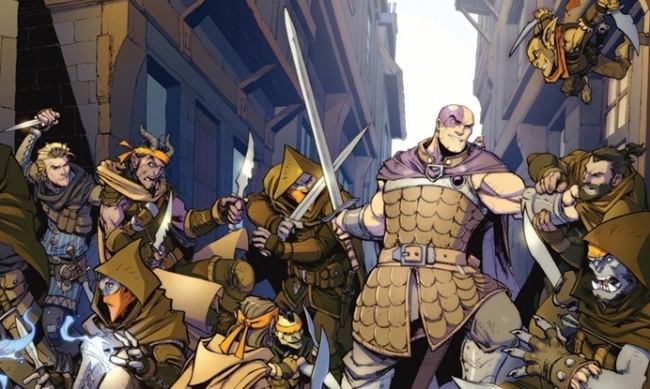 Each issue in the series focuses on an individual hero from Baldur’s Gate, including fan favorites Minsc and his miniature giant space hamster Boo. Krydle and Shandie, Delina, and Nerys Kathon will also see the spotlight. IDW released comics based on Dungeons & Dragons since 2010 (see “IDW Launching 'D&D' Comics”). Zub has written several D&D miniseries for the publisher, including Dungeons & Dragons: Frost Giant’s Fury, Dungeons & Dragons: Shadows of the Vampire, and Dungeons & Dragons: Legends of Bauldur’s Gate (see “'Dungeons & Dragons Legends of Baldur's Gate'”).